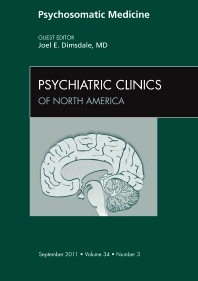 This issue is divided into sections on diagnostic issues surrounding psychosomatic disorders, diverse conceptual models, biology of psychosomatic disorders, forensic issues, and treatment. The issue covers both adult and children's psychosomatic medicine. Among the specific topics explored are, neural imaging, inflammation, disability assessments, malingering, factitious disorder, educating residents, cultural issues, pain and fatigue.